The DriDown Backcountry Bed 600 3-season women’s sleeping bag is designed to transform your hiking experience for both you and your loved ones. If you were looking for a bag that you will have no trouble carrying around, then look no further. Purchasing the wrong sleeping bag can give you sleepless nights and dull your overall hiking adventures. A stiff neck or muscles are the last thing you want the next morning, and this bag gives you more than comfort. The sleek design is primarily meant for the women hikers, and it’s not only durable, but it’s also comfortable and water resistant. Having used sleeping bags that left you soaked or that tore right on your first day of hiking should tell you just how important these features are. Portable and lightweight. The material used makes it easy to compress the bag and move around with it. What’s more? 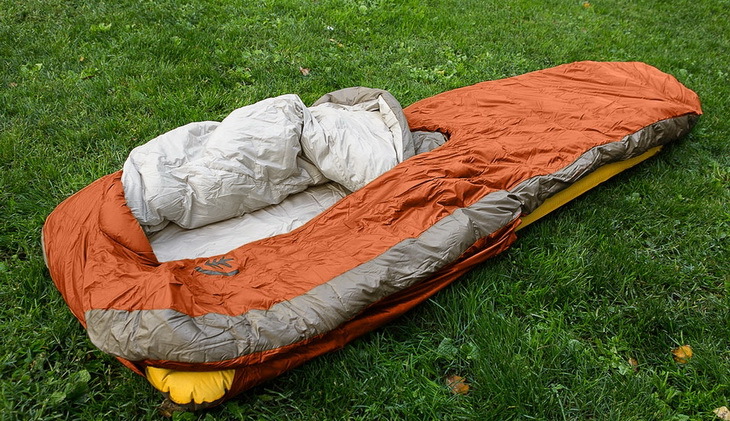 You do not have to spend money purchasing different sleeping bags for different seasons. This bag can be used for all the 3 seasons. Is that a bargain or what? 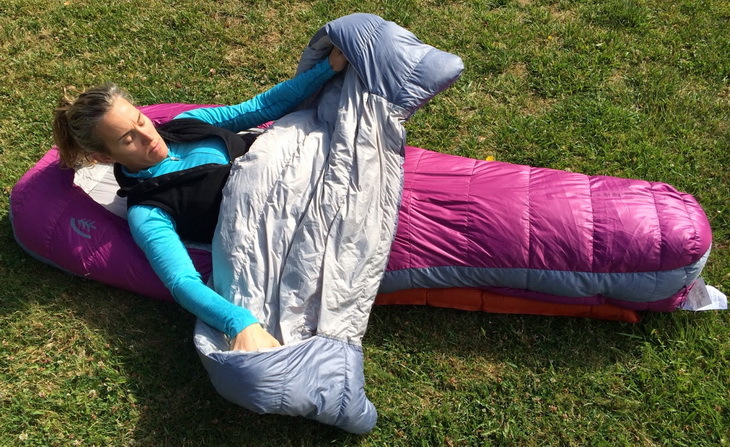 Keep reading the review for more details on this amazing sleeping bag. 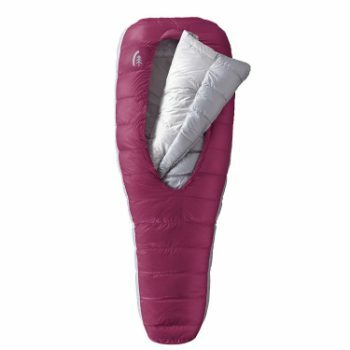 The sleeping bag comes in one regular size with a Boysenberry color that looks fantastic. 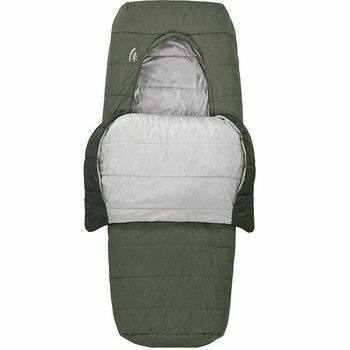 On purchasing, you also get a comforter that you can use inside or outside the sleeping bag. You can also consider purchasing a DriDown Pillow by Sierra Designs to transform your hiking experience. This pillow is sold separately from the sleeping bag and goes for around £39.98. With the pillow, you can have a comfortable place to put your head when sleeping and it fits perfectly in the sleeping bag. The Backcountry Bed by Sierra is made of Nylon and comes in a fantastic Boysenberry color. It weighs approximately 3.1 pounds and just has a regular size. The bed has dimensions of 3 by 58 by 68 inches and is ideal for both camping and hiking. Don’t let the soft and light polyester material fool you into thinking that you will be freezing when you are out there. This sleeping bag is so warm and snugly that you will hardly notice the difference with your own bed. The design is also every hiker’s dream because it compresses very easily making it less bulky and therefore easy to carry around. And that’s not all, the design also and provides insulation under your arms when you use the comforter outside the bag. It also makes it quite easy to get in and out as well as moving around at night. You don’t feel trapped when you are trying to move around. The bag is also highly durable. This is because of the use of nylon as the outer fabric. You can be assured of using it for a long time for hiking and camping without experiencing wear and tear that may force you to buy a new bag. Moreover, because of this synthetic material, the bag will perform better in wet conditions by being water resistant. You will not have to worry about getting soaked while sleeping in the rain. The Backcountry Bed has a temperature rating of 25 degrees Fahrenheit. This only means that the lowest temperatures this bag can handle is 25 degrees and nothing short of that. When you are hiking during winter, you know that temperatures can fall much lower than that. If that’s the case, you might reconsider taking this bag with you. 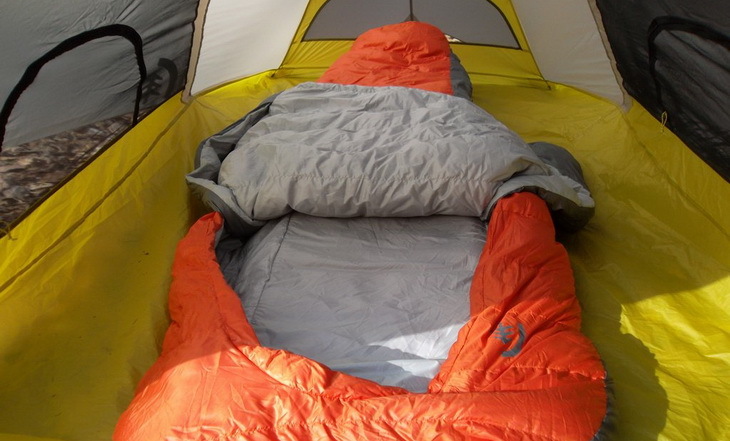 Opt for a sleeping bag designed to handle very low temperatures to keep you warm at night. However, this is just a standard rating. Since there is no universal temperature rating that you can pit this against, you are advised to follow your gut. If you think it’s capable of handling lower temperatures, then you can use the bag even when it’s freezing. Sometimes, it’s said that it can’t handle degrees as high as 30. See? The given rating may not be much to go by. You can always carry extra clothing for warmth in case the sleeping bag lets you down. There are other factors that go to show that the temperature rate given is just but a guide. We all sleep differently. We use different amounts of clothing to sleep, and some may sleep outside the tent while others sleep inside. Also, how easily you feel cold might be different from which temperature levels make me feel cold. 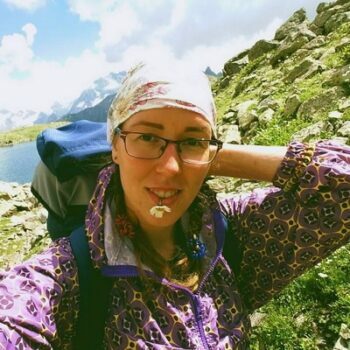 So seeing as hikers are different, you should not rely on given ratings. Instead, you should just focus on trying out the sleeping bag for yourself and seeing how you do with the temperatures. Does the bag’s rating go with what you finally experience or not? 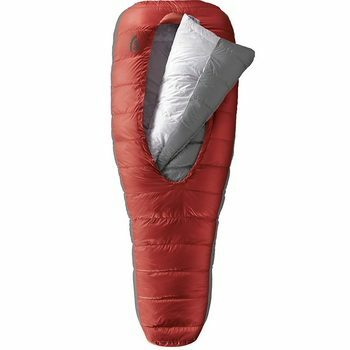 The sleeping bag comes with integrated comforter wraps that will allow you to adjust the temperatures. Why is this important? Temperatures vary from place to place and therefore in the cold season, you can always turn the heat to the maximum for warmth, and when it’s hot, you can adjust the temperatures to give you the cooling effect. This is one of the super advantages of the Backcountry sleeping bag. If you have ever been in a situation where you could not handle the temperatures, whether too hot or too cold, then you know just how important a temperature control feature is. This bag is also made of synthetic materials that will still provide you with warmth even when wet. This feature makes it ideal to use during rainy seasons or on damp campsites. The bag is designed with insulated hand and arm pockets that will provide insulation under your arms. This feature comes in handy when the comforter is used outside of the sleeping bag. Know how it gets cold at night when you are at the camping site, and only your hands seem to be frozen, which in turn makes it hard for you to sleep?? Well, with the Backcountry sleeping bag, that will be a thing of the past. 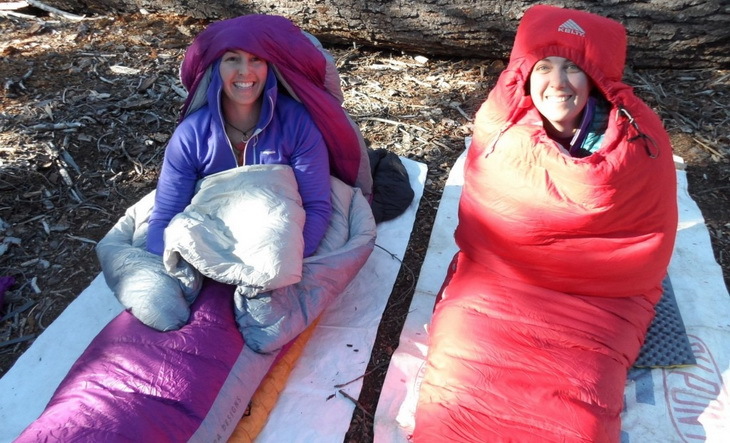 The women’s Backcountry sleeping bag is made of lightweight material and therefore compresses easily, making it less bulky to carry as you trek along the trails. It also has an integrated sleeping pad that goes a long way in reducing the bag’s interior volume. 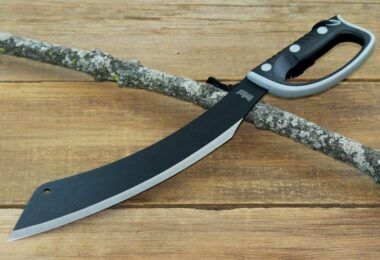 This makes it have the right fit to fit in your backpack when you’re going for a hike. Are you getting value for your money with this purchase? The bag goes for around $300, which may even include free shipping if you are from the listed locations. There are no given guarantees pertaining to the purchase at this time. However, if you want to find out, you can always contact the manufacturers for more information. It is worth checking out for any offers and guarantees, relating to the sleeping bag in the future. Every good product has the features that set it apart from the rest of similar products out there. For the Backcountry Bed, there are a few unique features that are worth checking out. 3- Season sleeping bag – Can be used in any given season, regardless of the weather conditions. The Sierra Designs Backcountry 800 is by the same Sierra Designs and is also designed using the same nylon fabric. The bag only comes in one color, Bossa Nova, which doesn’t give you much of a choice. Moreover, it has the versatility integrated comforter wrap that allows you to adjust to your preferred temperature, the insulated hand pockets for additional warmth when using your comforter outside the sleeping bag and sleeping pad sleeves for a more integrated bed. The catenary shaped opening helps to seal out drafts when you push out. All in all, this sleeping bag makes it easy to get in and out. Due to the synthetic materials used, this bag stays dry even in wet conditions and will dry out faster when washed. You don’t have to worry about keeping warm because of the heat retention properties that will provide warmth all night long. The temperature rating is around 34 degrees F, which, if it’s anything to go by, is ideal for most backpackers. The bag is also made of lightweight material which makes it easy to compress and fit in your hiking bag without any struggle. The sleeping bag is also very comfortable and has enough room for you to move around at night without feeling trapped. The good news is that it comes in two sizes- regular and long, unlike the women’s sleeping bag that only comes in the regular size. This accommodates the tall people who would otherwise not fit in well in the regular sized bags. The best part is that you can get a big netted sack for storage alongside your purchase. The sack enables you to prolong the bag’s life by hanging it up instead of the usual rolling. When you store your sleeping bags by hanging, its insulation properties are preserved. You can use this sack to store your other items as well during a hike. However, the women’s bag comes out on top when we are talking about the convenience of use. The Backcountry Bed 800 can only be used for 2 seasons, which will have you buying another bag for use during the cold seasons. It’s priced at approximately $400, in the higher end. 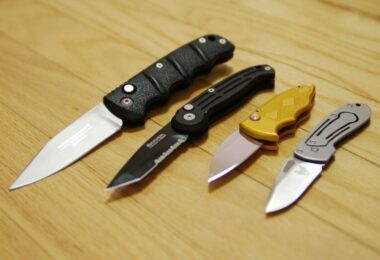 If you cannot afford to purchase at this amount, then you can consider the Backcountry 600, which is relatively cheaper. If you do not mind spending a few extra bucks for a product with quality features, then you should consider buying this sleeping bag. It may just be worth the price. This Sierra Designs Frontcountry sleeping bag is also by Sierra Designs and comes in three colors, Rosin Green, Blue Depths and Fired Brick. It’s short, staple and synthetic, which makes it ideal for use in wet conditions as it does not absorb the water, and also, dries out quick. It will give you extra warmth even if it gets wet. The bag comes with a 50D polyester Taffeta liner, which will minimize wear and tear inside and keep the bag clean. The liner also gives additional warmth, enabling the sleeping bag to serve you well in varying temperatures. And that’s not all; the taffeta lining gives you maximum comfort as you sleep. It makes the sleeping bag, breathable, so as to let your body moisture evaporate. One of the best features is the outer 40D Nylon/20D Poly Weave shell. It goes a long way in making this bag more durable and waterproof. In wet conditions; the bag will stay dry even if it touches the water or the dew on the ground. The sleeping bag has a temperature rating of -3 degrees Celsius. This makes it perfect for winter because it can withstand frigid temperatures and keep you from freezing. The pad sleeve gives you more insulation by retaining heat. Additionally, the sleeve reduces the overall pack weight of the bag making it easy to compress and carry around. To top it off, it has a unique design concept that allows you to use the bag in all the 3 seasons. You can also move around easily when sleeping without rolling over. It gets better. You can share the bag with a companion and still sleep so comfortably. If your feet get warm and start feeling tingly, this bag is designed with an opening at the bottom where you can stick your feet out. The comforter has hand pockets at the corners that provide you with insulation, especially if you are using the comforter outside the bag. What sets this bag apart from the women’s Backcountry 800 sleeping bag is that it comes in 3 sizes-medium, large and youth, as compared to the latter that only comes in one regular size. 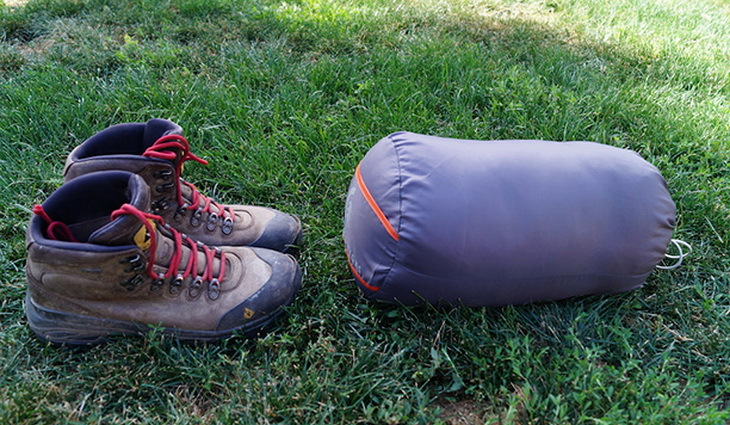 No matter what size you are, you can always get a sleeping bag with Frontcountry by Sierra. Did I mention that it’s big enough to fit a full sized pillow? This bag is also cheaper when compared to other sleeping bags. It goes for approximately $200 on the higher end. What you may not like about it is that it weighs more-around 7.2 pounds, which is higher than most of other sleeping bags. If you love products that give you a value for your money without compromising on the features, then this might just be the sleeping bag for you. The Sierra Designs Backcountry 600 is a sleeping bag by Sierra Designs that only comes in one color- Red Clay and made of nylon. The fabric makes the bag durable and water resistant in case it comes in contact with water. You are guaranteed of warmth even if it gets wet. The bag has a smaller catenary shaped opening that allows the walls to push in, hence sealing out drafts when you push out. Your underarms are kept warm when you use the comforter outside the bag, by the insulation provided by the hand pockets on the bag. As if that’s not all, there is a versatile integrated comforter wrap that helps you to adjust temperatures, according to the area you are camping on. The sleeping pad sleeves ensure your sleeping bag is secured to create the impression of an integrated bed. You can tuck the sides in when it’s cold to give you extra warmth, and when it gets too hot, you can always pull out the sleeves. 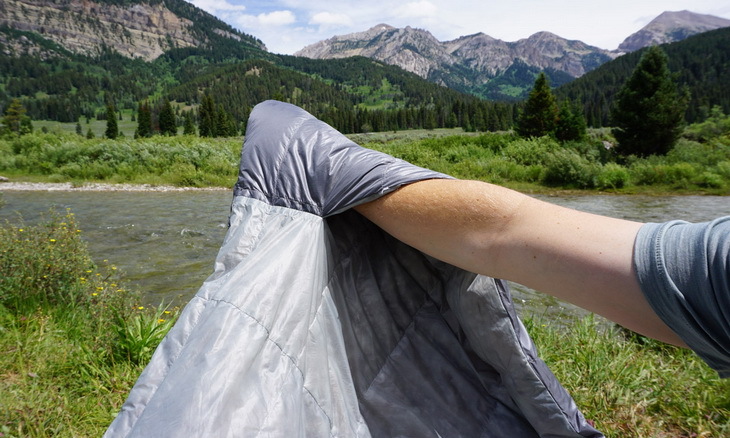 This Backcountry sleeping bag’s properties, are similar to the women’s sleeping bag reviewed earlier. The primary difference being that the women’s bag can be used for all the 3 seasons, but the former can mostly be used in warmer seasons. It has a temperature rating of about 40 degrees, which means you cannot use the bag in winter or in areas where the temperatures drop below that at night. One of the major flaws is that it has a narrower bottom that may not fit well for some people. This also makes it hard to get in and out. You are advised to try out the bag to see if you fit in comfortably as you purchase. 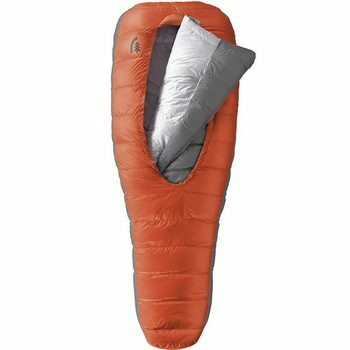 If you are wondering about the cost, this sleeping bag will set you back around $300 on the higher end, depending on the size. It’s relatively cheaper than the women’s 3-season sleeping bag, and since it has almost similar features, you can consider purchasing the Backcountry Bed 600-fill if you always go for products that give you a value for your money without compromising on the quality. The women’s sleeping bag is designed specifically for the women who love the outdoors and their go to activities, such as camping or hiking. It’s an ideal bag for anyone looking for a sleeping bag with premium features and does not worry about paying whatever it takes to get the product. It’s perfect for use in all of the 3 seasons which makes it quite popular among backpackers. We’ve provided you one of the best Sierra Design Backcountry beds that is great for your adventures in the great outdoors. To make it even easier for you to choose the right one, we’ve provided you the similar models, although, they have some slightly different features. But, having a wider range of choices just makes your choice closer to a perfect one, right? The DriDown Backcountry Bed 600 by Sierra is for those women who are looking for an enjoyable hiking trip without having to worry about their sleeping arrangements. With the premium features the bag offers, around $300 is such a small price to pay for a magical hiking experience. Now, if you used this sleeping bag before, we would like you to feel free to share your experiences with our readers below. Or, in case you think that we forgot to mention some important facts, you can let us know by leaving a comment in the comments section below.